What are your favourite memories of being a kid? Do you remember the games that you played with your friends and the kids in the neighbourhood – playing hide and seek, stuck in the mud and riding your bike for hours, until you were called in for a meal? Maybe one of your favourite memories was escaping to a friend’s place two doors up the street to play on their trampoline. The word on who had the trampoline would get around through the neighbourhood, and it wasn’t long before most of the kids in the street were lining up for a go on that one friend’s ‘huge’ trampoline. Back then, parents lined the perimeter of the trampoline themselves, because there was no safety padding and definitely no netting around the trampoline to keep you safe. Looking back, this is something that we, now parents ourselves, wouldn’t tolerate today – nothing to catch your child and guide them back onto the mat as they land and the lack of of protection from the exposed springs just waiting to grab their skin on landing. But for us, it was fun – great fun! Just as we loved bouncing a generation, so too do the kids of today! Some things never change, and rebounding is an inherently exciting activity that seems to start when toddlers first discover the joys of jumping on the bed. It’s the state of weightlessness that you experience at the top of the bounce and the giggly tummy as you descend to the mat that gives that one-of-a-kind thrill. Exercise fun – Work hard; play hard! Trampoline in the backyard? There’s your gym equipment! Jumping on trampolines isn’t just a good time; it’s a fabulous workout for all the family. Everyone can come and bounce – mum, dad and even the grandparents. Older family members may find that a gentle jump on the trampoline – which is easy on joints – will keep them active, help renew their energy and provide lots plenty of belly laughs. Without even realising it, every time you use the trampoline, you are undertaking a low-impact, aerobic exercise. Bouncing strengthens your leg and abdominal muscle tone. Not only that, rebounding is also a fun way to improve the function of the lymphatic system; it rids the body of toxins and waste cast off by the cells. This means that the repeated movement of jumping up and down helps your body drain away potential poisons. Could it get any better than enjoying a session on the trampoline, while reducing body fat and providing an aerobic benefit for your heart on of the quality Vuly trampolines? Everyone loves to bounce, which means that using your trampoline does not feel like exercising. It’s all about enjoyment for everyone – with a lot of benefit thrown in. Endless fun – Games to play; imagination at work! A good quality trampoline not only provides years of play for the family, it’s also a great way to stimulate the imagination and challenge each other with games. 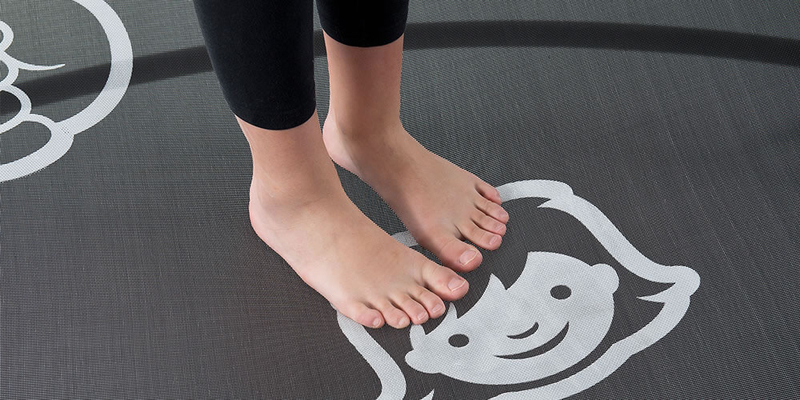 The Vuly HexVex Game Mat provides an extra dimension of fun to the trampoline. The printed icons allow the kids to make up a bucket load of games themselves. Alternatively, try out some of the included Vuly games. Games like ‘Trampoline Twister’ aren’t limited by age; kids and adults alike always find group games like Twister hilarious. Even if you’re not in the game yourself – watching the young ones’ play – you can still be involved by refereeing. This game works best on larger trampolines, like an XL size model. Play it as you would play the classic pool game. One player sits in the middle of the trampoline mat, eyes closed, and counts to ten. Players spread apart as quietly as they can and stand somewhere on the mat. When the one in the middle has finished counting they say “Marco!”, and everyone answers with “Polo!”. The aim of the game is to find the players and name them– keeping your eyes shut. One person sits in the middle of the jump mat and brings their arms around their knees to form an egg shape with the body. The others jump around the edge of the trampoline and try to make the player in the middle lose the grip around their knees and come undone. Using a soft ball, players pass the ball quickly to each other as they’re jumping on the trampoline together. Catch and pass the ball quickly, but if you drop the ball, you’re out and have to sit outside the trampoline until only one person is left – the winner! Fill up water balloons, and pile them onto the trampoline jump mat. Enjoy summer days (and nights) bouncing and popping the water balloons. It's guaranteed to keep the kids from complaining about the heat as we get closer to the Christmas heat. Your kids will come up with all sorts of new games themselves, and of course, Vuly accessories can add to the entertainment too. Have a look at the range; maybe you'll find an accessory or two that would be perfect under the Christmas tree? Magical fun – It’s a circus tent; it’s a castle! The trampoline, in a child’s imagination, can turn into just about anything. From cubby house to circus tent – the possibilities are endless. 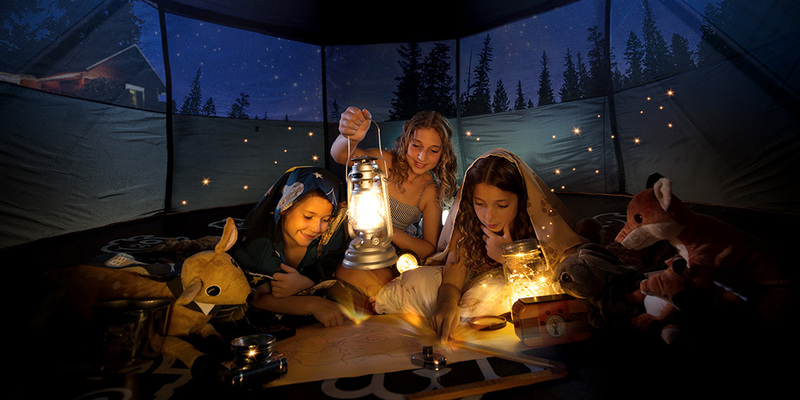 Also great for hosting tea-parties and picnic lunches during the holidays, an enclosed trampoline can be dressed up with fairy lights, cushions, tinsel or ribbons to create a magical space for your little ones and their friends. Sleeping under the stars... have a cup of tea in peace while the kids prepare their trampoline for a summer sleepover. Throw in some blankets and pillows, a few snacks and there you go – sometimes creating fun is just about preparation. Everyone fun – Any age; no matter your ability! Yes! Everyone can enjoy the benefits a trampoline. We know that trampolining is fun for young and old, but it also improves motor and social skills, which is especially great for children and adults with autism. The trampoline provides a space in which to feel safe and work off pent-up energy, while the jumping and landing assisting with their muscle development and boosting bone density. Trampolines are often recommended by occupational therapists for this very reason! When children are young, they also learn a lot from play. Interacting with a parent or with friends while bouncing is a great way to develop social skills – from learning to take turns to sharing a laugh with others, trampoline play can greatly enrich a child’s ability to communicate with others. Safe fun – What’s more important than being safe? 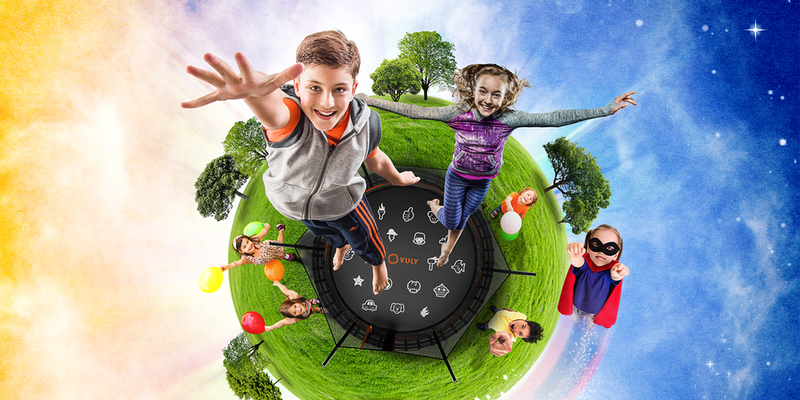 The research and development that has gone into making the world’s safest trampoline has Vuly at the top of the game when it comes to creating robust and quality trampolines. Following some simple safety rules when bouncing on a Vuly – and with parental supervision at all times – we know that you’ll feel reassured that ‘it can all be good fun – and no-one gets hurt’! We want your kids to have fun, but we also know that you want them to stay as safe as possible while they are enjoying their play. In 2017, Vuly once again won a Good Design Award for the Thunder trampoline, with the judges congratulating Vuly on their “innovative approach to safety”. Trampolines are so much safer than they once were. Take a look at the Vuly range. Imagine one under your Christmas tree this year!